When volleyball is your passion and spandex is your fashion, why not sign up for a fun, full-day tournament?! When volleyball is your passion and spandex is your fashion, why not sign up for a fun, full-day tournament?! 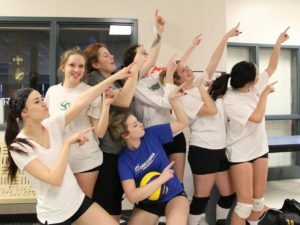 Whether you played volleyball in high school, joined a recreational team in university or haven’t touched the ball for years, all are welcome at the Calgary Sport and Social Club (CSSC). 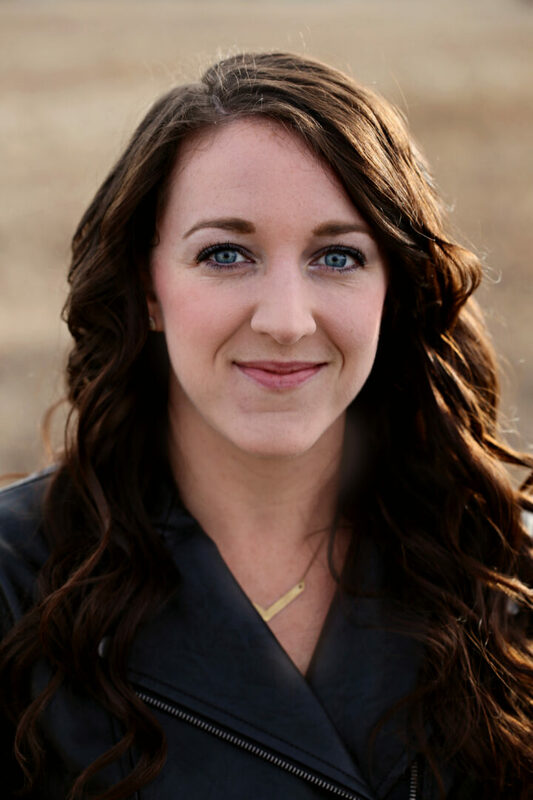 Founded in 1996, the CSSC recognized a need for adult recreational and competitive sports throughout the city. Anyone with a ‘fun-first, winning-second’ attitude is encouraged to sign up for sporting events, whether you’re new or a pro. Offering a multitude of sports with league or tournament opportunities available, there’s truly something for everyone at the CSSC. That brings us to their up-coming Co-ed Indoor Volleyball Tournament. *Bonus: All teams that participated in the February 2 Indoor Volleyball Tournament will receive a 10% discount towards their full team registration in this tournament! Just include a comment with your registration and you will be reimbursed upon verification. If you sign up for the tournament now, you will be sent official times closer to the date. All teams are scheduled for at least four matches, with the possibility of playing up to six matches in total – if you’re lucky! 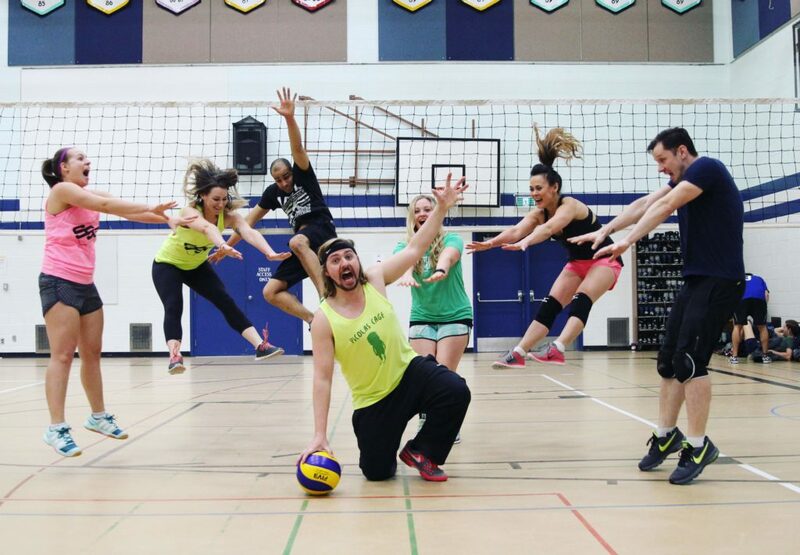 Since this is a co-ed volleyball tournament, all teams are required to have six players on the court at all times, with a minimum of two females. All players must be 18+ years old to play and most teams convene at the local CSSC sponsor bar for exclusive food and drink deals after the tournament ends to keep the good times rolling. So you see, you don’t have to be a volleyball pro to join in on the fun – get out of the house at least one Saturday this month as you socialize, play a bit of volleyball and grab a drink with all your new found friends as you reminisce that perfect serve, killer block or powerful smash. At the end of the day, all championship teams and their MVPs will be presented with their winning shirts and awards. It’s truly a great way to spend a weekend. If something comes up so that you can no longer make it to the tournament, the CSSC understands that life happens. Contact their office no later than Friday a week before the event to receive a full refund – after that, you are committed to playing a full day of fun indoors! 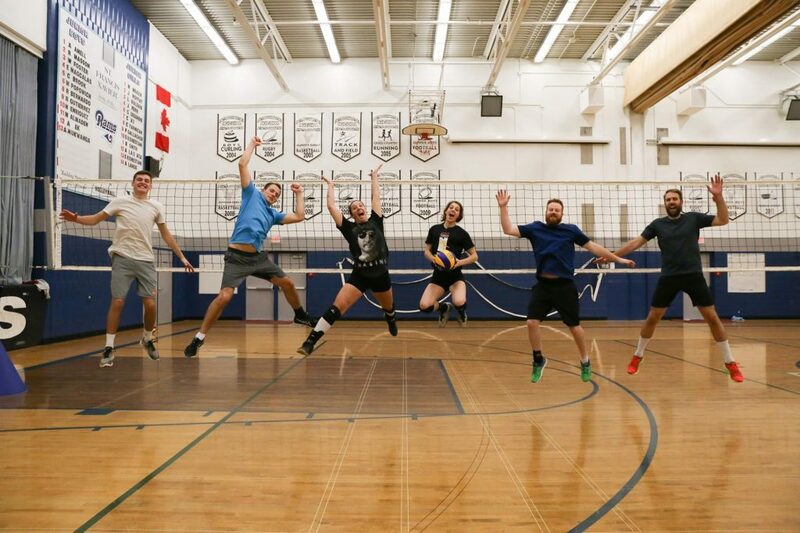 For all of you volleyball-loving fanatics out there, check out this video of the CSSC’s past indoor volleyball tournament to get you and your team psyched before the big day! If volleyball really, truly isn’t your thing, no worries! You can still register for spring outdoor league until April 15 – visit the Calgary Sport & Social Club site for more details. 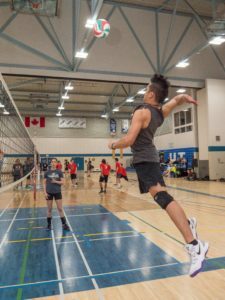 Sign up for the CSSC’s Co-ed Indoor Volleyball Tournament here!